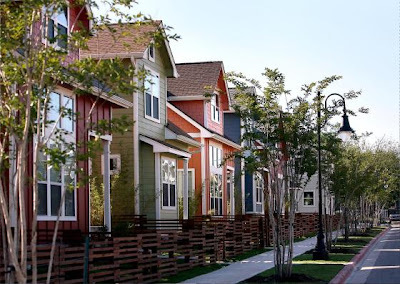 25 years after I worked at Featherlite Precast on Miriam Ave. in Austin, I had the serendipitous opportunity to design 64 new homes for the site as it was reborn as a neighborhood with a shiny new transit stop. The cottages sold like hotcakes, which made sense because they were really livable, filled with sunlight from all four sides, and cost LESS than the nearby loft products. 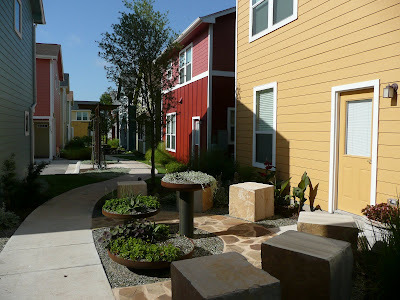 The Austin Business Journal awarded the project a Community Impact award in 2008.